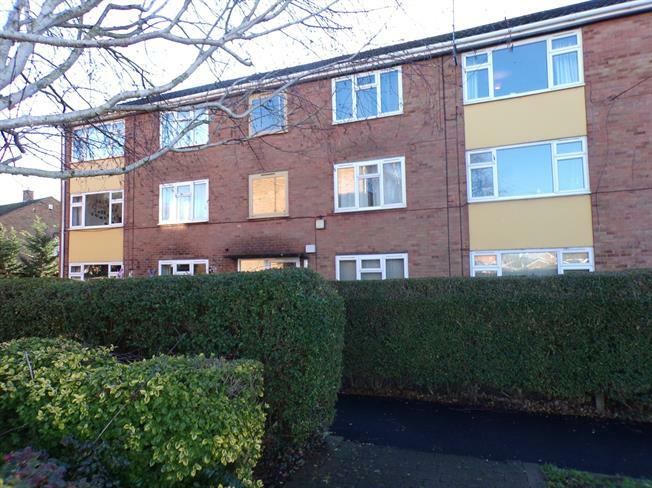 2 Bedroom Flat For Sale in Warwick for Guide Price £120,000. A great opportunity to purchase a two double bedroom ground floor apartment. Being sold with no onward chain, this property is ideal for a first time buyer or an investor. Having had a recently re fitted bathroom and a modern kitchen, this property also comes complete with carpets and blinds. The accommodation allows ; entrance hallway, sitting through dining room, kitchen, bathroom and two double bedrooms. Outside there is a communal garden offering a patio and lawned area along with additional external storage specifically for this apartment. White UPVC door opening in to entrance hallway. Brown carpet to the floor and wall mounted electric heater. Spacious room with window to the front elevation. Wall mounted electric heater. Light brown floor and wall units with space for a washing machine, cooker and fridge freezer. Window to the rear elevation and electric heater. Brown carpet to the floor, electric heater and window to the rear elevation. Spacious bedroom with brown carpet to the floor, electric heater and window to the front elevation. White suite fitted in 2014 and offering a bath, shower, low level W.C, pedestal and wash hand basin. White tiling to the walls. Obscure window to the rear elevation. Communal gardens to the rear of the property also offering an external storage cupboard for the property. Service charges are to be confirmed. We believe there to be a lease of 125 years and the ground rent to be £100 per annum doubling every 25 years, but this should be confirmed by your solicitor.